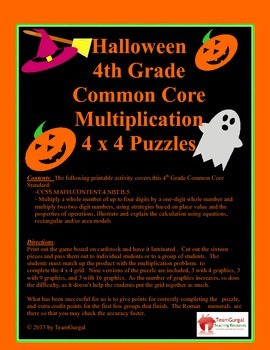 This is a great Halloween activity for students learning multiplication. 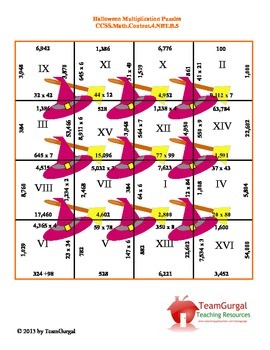 To complete the puzzle the students must match up the quotient with the original division problem. 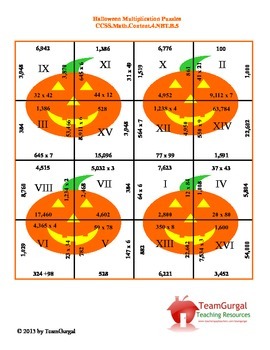 Nine versions of the puzzle are included, each with a varying number of Halloween graphics. Three puzzles contain 4 graphics, three contain 9 graphics, and three contain a graphic on each individual piece. As the number of graphics increases, so does the difficulty allowing for differentiation amongst ability groups. 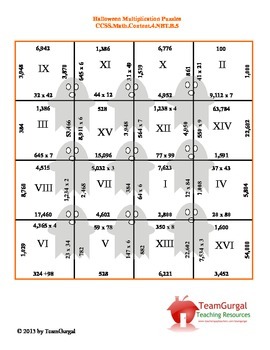 The puzzles vary in the graphics and not the multiplication problems.